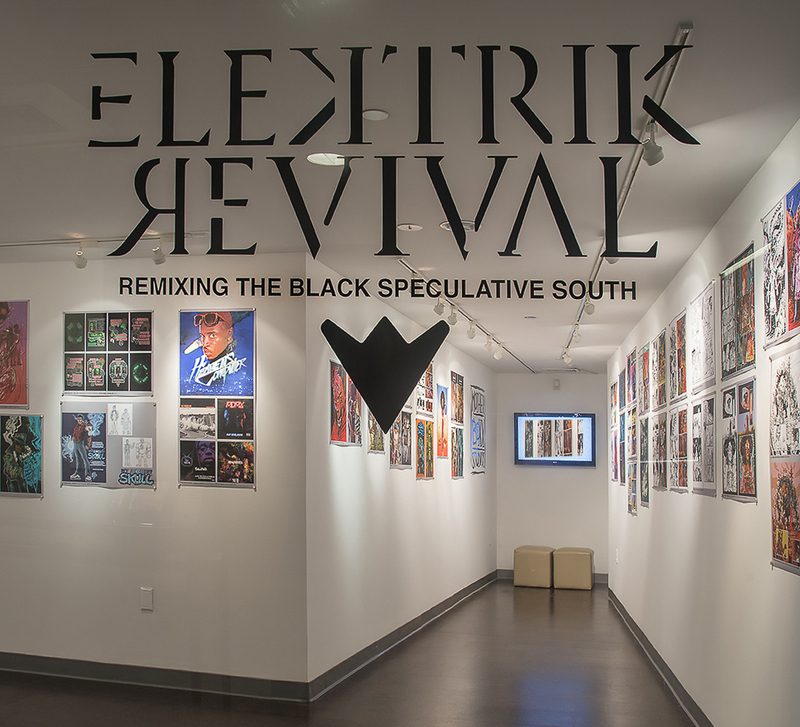 ELEKTRIK REVIVAL is an art and design exhibit featuring a diverse body of in-progress graphic novel work, developmental designs, character sketches and prototypes related to an array of speculative stories set in the black U.S. South. Under the creative leadership of John Jennings and Stacey Robinson, the authors of BLACK KIRBY, the exhibit and panel discussion includes their digital transmedia artists’ collective: MOTHERBOXX STUDIOS. This newly formed collective of artists have created and designed a vivid and dynamic visual feast of the imagination to shock, entertain, challenge, and inspire. The work in the exhibition is representational of all of the speculative genres including horror, sci-fi, steampunk, superhero, and fantasy. These mind-bending creations will deal with issues around social justice, environmental racism, and other pressing concerns in our country. Come and experience a vibrant graphic romp into multiple alternate pasts and boldly black possible futures.